Sunil Joseph is the Head of the Amadeus Airline IT business for the South Pacific region and has been in the role since early 2011. Based in Sydney, Sunil works closely with the airlines in the Pacific region and is responsible for developing Amadeus’ airline IT business. On the distribution side, he also has responsibility for growing and securing content to support the Amadeus Global Distribution business. Sunil has over 25 years of experience in the airline and travel industry and has been with Amadeus for over 17 years in various commercial and leadership roles. Previous roles at Amadeus included heading the Amadeus Global Travel Management Customer Group in Middle East and Africa based in Dubai, Leading and executing the APAC  strategy for the other essential content like Hotel, Cars, Insurance, Cruise and Destination services for the various Amadeus distribution channels and heading the GDS Sales and Account Management in Australia. 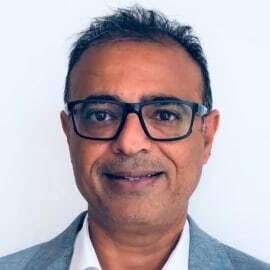 Sunil’s vast experience in both airline technology and travel distribution, together with many years of focus on the Pacific marketplace, enables him to partner with Amadeus’ Airline customers and help them to achieve their business objectives now and in the future.